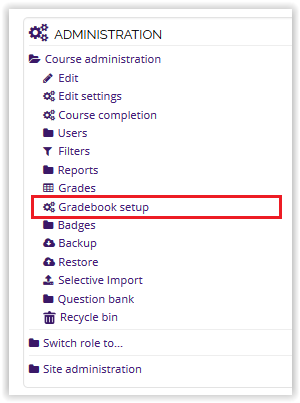 Locking a graded item means that the grades can no longer be automatically updated by the related activity. 1. Login Moodle and open your desired course. 2. In the Administration block, click Gradebook Setup. 3. For the desired graded item, click the arrow next to Edit and select Edit Settings. 4. Under the category Graded item, check the box labeled Locked. Enable the lock after feature if desired by checking the box to Enable and selecting the desired date.